Francesca joined the practice in March 2012 and having completed her SVQ in dental nursing is now GDC registered. In November 2012 she attended the SAAD dental nurses sedation course in London. Francesca has recently passed her NEBDN certificate in Oral Health Education. 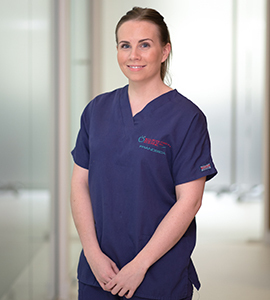 Francesca routinely works with Dr Jennifer Eilertsen assisting with six month smiles, cosmetic procedures, sedation and implant dentistry. In her spare time she enjoys spending time with family&friends and walking her two dogs.